"Fireworks Address Labels" product is already in your cart. A series of four beautiful images of Fireworks Address Labels make a grand entrance with their colorful and festive displays. Sprouting spectacular floral designs that add sparkle to your day, you will feel the magic of these delightful fireworks that will generate a smile even when it is a gloomy day! You can have the joy of the 4th of July every day and create a cheerful atmosphere for a sometimes mundane job of addressing envelopes. 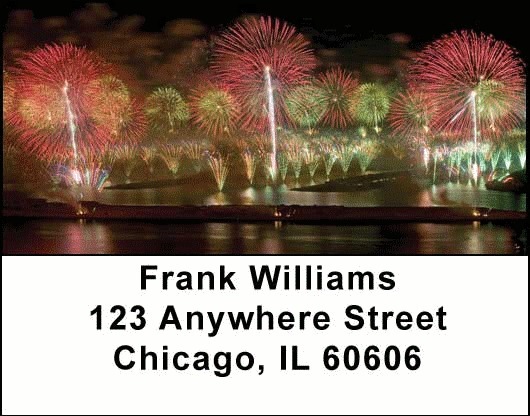 With rockets bursting in air in dramatic displays that make you realize that a little fun goes a long way these Fireworks Address Labels will add pizzazz to your day – every day.